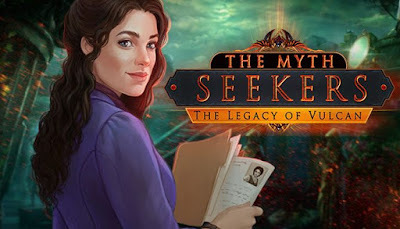 The Myth Seekers: The Legacy of Vulcan is developed by Sunward Games and published by Artifex Mundi. It was released in 10 Aug, 2017. You play as Amelia, a brilliant expert on Roman mythology and a new asset of the Myth Seekers agency. Your assignment is to continue the investigation of a fellow operative who recently vanished under mysterious circumstances. The first order of business is to locate the Vesuvian Codex and get in touch with an Italian agent named Lorenzo. Together you will need to track down the powerful artifact called Vulcan’s Hammer. Time is of the essence as evil forces are also looking for the relic…. Features Meet 16 legendary characters from the Roman pantheon! Solve almost 40 HO scenes and Minigames!